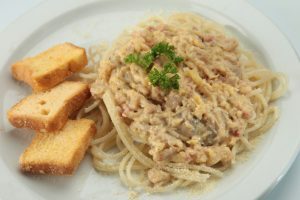 Our version of Carbonara with slighty sweet white sauce with bits of bacon and mushroom topped with parmesan cheese. 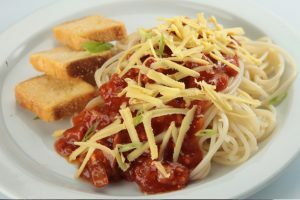 Filipino Style Spaghetti with red sauce, hotdog slices and ground pork. 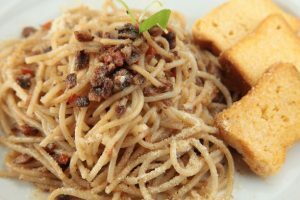 Topped with grated cheddar cheese.